« Should you disclose your secret locations? 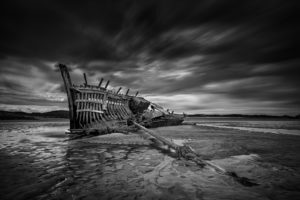 There was a topic posted recently on an online photography forum simply titled – Is Landscape Photography Dead? Hence, this blogs title. It is a long-standing argument, & the resulting on-line debate had wide and varied views. These both intrigued and enlightened me. In truth, I started thinking deeper about how creativity & the business of landscape photography may potentially differ. I recently changed camera clubs and attended my first competition in Dundalk Photographic Society last week. For me, competition is about getting an “unbiased” critique of your work in the hope that I might identify some weaknesses to work upon. Weaknesses I cannot see myself. I knew the judge, I also knew he would be familiar with the style of my work. I tried to enter images which were not recognisable as mine. Only 2 of my 6 entries were landscapes. The critique that followed shocked me a little, but got under my skin a lot. The judge, stood in front of a packed room making live critiques on each image. A tough job to be faced with. Photographers generally give and take a little as individual comments are passed live by someone seeing a photo the first time. As the 1st landscape image of the night appeared in front of him, he declared that in his view landscape images, particularly seascapes, were overdone and pretty much all looked the same. They lacked imagination and he referenced his particular dislike of “milky water”. Each & every landscape image scored poorly on the night. Whilst any judge has a right to score images as they feel appropriate, I believe the technical proficiency & efforts made within any genre must be considered and awarded appropriately. In my opinion, this didn’t happen. Environmental portraits faired out in a similar manner as he described most of them as “simply a portrait”. A proficient judge should be able to separate a good street shot from a bad one, a good sports shot from a bad one, and equally a good landscape from a bad one. I don’t hold a huge fondness for sports photography but I appreciate the level of hard work and time which goes into getting a good one. I didn’t comment as I had expected a similar outcome although maybe not so blatant. Other club members debated it strongly at the annual club weekend away which started the next morning. Views differed but the arguments were broadly similar to those expressed online. Whilst frustrating on the night, this is not a post to give out about a judge. It simply highlights a view which I fear may be held by many others not involved in landscape photography, simply put – ”They all look the same”. In effect, any creativity has long disappeared. Why is landscape photography dead? Landscapes have been photographed since the advent of the camera. The longer shutter speeds required in those early days leant themselves perfectly to static objects such as mountains. As such, photographers have been shooting landscapes for almost 200 years (1826). By now, most of earths epic scenes are well and truly captured, by many different people, in different ways, and in most types of light & conditions. The act of continually re-shooting these populist scenes in a similar manner holds very little artistic merit. Instead of creating images, we have been reduced to recreating what has been done so often before us. Landscape photography has simply become a game of scene collecting rather than an artistic medium of creation and vision? Some argue, it is no longer an art form at all. Landscape photographers simply paint by numbers so to speak. Arrive at postcard location x, set-up at spot Y, employ settings X and then take a similar shot to the thousands that have been captured before you. Essentially, we are now technicians rather than artists. Surely not – are we really in that much trouble? If so, Is Landscape Photography Dead? Are we blindly hammering the last few nails into the coffin of our beloved genre? Ansel Adams is without doubt one of the godfathers of the 20th century landscape genre. If not the best of his era, he is certainly the best known. Rightly or wrongly, in my opinion, he literally took a static subject and turned it on its head for the betterment of those who came behind him. It is akin to the manner by which the impressionist artists took the art world by storm. They broke away from the classic rules of painting and composition & changed the perceptions of accepted art forever. Ansel was a genius within his own right – both photographically and publicly. The trends he set back then have to some degree followed through to the modern landscape era. Some boldly claim that there has not been much innovation since. However, I can’t fully agree with this argument! One only needs sit a modern image side by side with one of Adams originals to see significant progress. Much of it has been technological but there is significant progress none the less. 20 years ago, a living could be made selling fine-art prints to clients and images to stock libraries. This was supplemented further via books launches, calendars and postcards. Photographers specializing in landscape photography were few & far between. However, the digital age has put more camera’s in more hands than ever before. Today, people are visually bombarded with imagery of some description or other. Sadly, the traditional ways of making a living are so saturated that they have lost their value. Stock has been reduced to cents per image. The general public have lost all appreciation for photography as we are all photographers now thanks to smart phones. The old model has been replaced by social media, blogging, vlogging, product endorsements, etc. Many photographers now need to spend more time creating brands for themselves than imagery. A bold claim exists, that the most successful photographers are not necessarily the best, but instead they are master marketeers. In all reality, there may be a genuine parallel to the days of Adams. Whilst his work was amazing for its time, I believe the worldwide acclaim he attained can partly be attributed to the PR machine behind him. If he were alive today, I have no doubt he would be at the forefront of technological advances but also & possibly more importantly, a social media guru. Today, many professional landscape photographers derive a large percentage of their income from education. This can take the form of workshops &/or on-line tutorials. They are no longer geographically restricted to the audience available. It’s a global playing field available to all brave enough to embrace it. The recent success of photographers such as Thomas Heaton and Simon Baxter prove without doubt that expensive PR companies are no longer required to reach an audience. Great work, long hours, passion and the guts to put yourself out there still go a long way today. So what has the business of professionals got to do with the death of creative landscape photography? As amateurs, the income model of professionals around the world should not really concern us. But it does – & more than ever! More people now see & become influenced by the work of these big names. The larger their brand, the larger the influence they have. Larger levels of exposure by the few, could potentially set the worldwide trends in the short and medium term. Why? This level of work is out of the reach for most of us, yet as amateurs most of us aspire to these levels long term. If photographer X develops a certain style/technique and exposes it to the world, others quickly follow. Copycat photography is a great compliment in itself and speaks volumes about the quality of work being churned out in the modern day and age. But, Is this the death of creativity? Not necessarily. There are many reasons why people emulate the work of others – I will discuss this in more detail further on. Longer term, these fads & trends come and go. For example, light painting was massive a number of years ago, not so much now. Conversely, long exposure black & white seascapes hit us with a bang 7/8 years ago. They have proved more than just a fad and have indeed become a very popular genre on their own. As proved earlier, they are so popular, some people hate that milky water look. At present, Astro photography appears to on the rise in popularity. Popular professionals have embraced it, and the amateurs have now followed in huge numbers. Will it be a fad, or will it last longer? Who knows, but there is no denying it is more accessible than ever thanks to modern technology. Online tutorials, both free and paid, are demystifying the secrets at a rapid pace. This applies to all genres of photography. Personally & from a landscape perspective, it is exciting to see what happens in the next couple of years as drone photography becomes more and more popular. We will be able to access angles and views which were out of our reach to most of us until recently. Emulation doesn’t stop at the point of capture. It also continues into the realm of post processing. Thanks to the internet, access to learning is now also easier and quicker than ever before. Just look at all the popular landscape images on 500px right now. How many of them have had that wispy Orton Effect applied to some degree or other. This doesn’t only apply to landscape photography. Look at the children’s portrait section. How many of these have that fake light bleed applied in the background. They are richly saturated & highly posed scenes. Most have a prop of one description or another. I am not knocking any of the above – I am simply using them as examples to highlight how trends catch on quickly. They become trends because they are good. Some continue on to become mainstream whilst others fade away. In some photography genres, it is hard to pick one mage from the next. You could easily be forgiven for mistakenly thinking they are all from the same photographer. As Spider-Man would say, “With great power, comes great responsibility”. Fads and trends will come and go. The modern-day influencers are todays Ansel Adams & those who will set the direction landscape photography follows in the immediate future. It is to them we amateurs look & aspire. There will undoubtedly always be a level of imitation as the masses attempt to bridge the quality divide. I personally believe the leaders in our field need to adopt responsibility with the information they give. For example, if you put 10 images on social media, it is usually the most saturated images that get most likes and comments while the understated, subtle masterpieces receive little & no attention. There are too many Youtube tutorials and paid video lessons teaching aspiring landscape photographers how to completely manipulate a scene, change colours, add light bleed, add a soft glow, over saturate, etc, etc. Sometimes I am shocked & saddened as they proudly show how far removed the finished image is from the original raw file and offer to teach the rest of us how to do this. Then there is the opposite side of the coin. 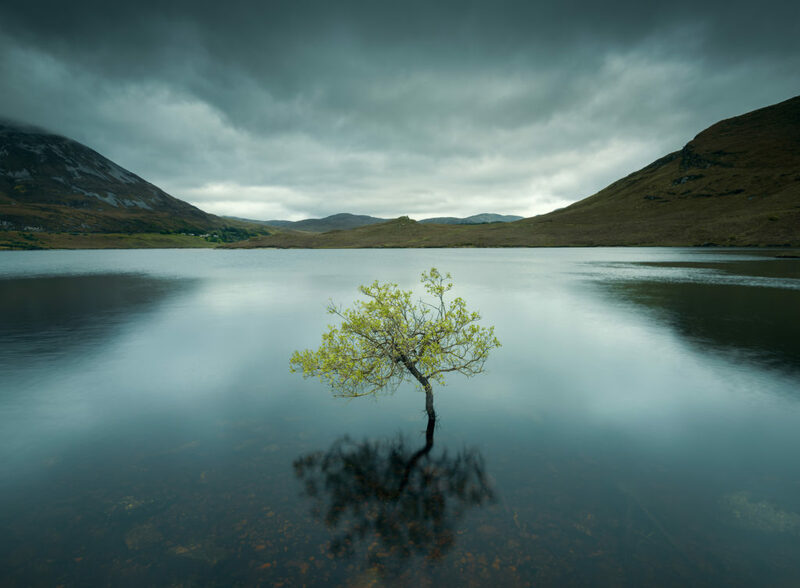 Older, more mature photographers such as Charlie Waite and Joe Cornish who have been taking images long before the digital age. They were forced to get everything right in camera. This has followed through into their modern workflow. I attended a Charlie Waite lecture at the Photography show in March this year. It was extremely refreshing to hear a landscape photographer talk about the creative in camera technicalities & light rather than post processing. He described it simply as “Intending and attending”. Basically, intend everything in the photo from start to finish i.e. shutter speed, composition, etc. Then attend to every little detail such as edges of frames, focus points etc. Charlie can describe it in far better detail than me. He can be found talking again soon at the Irish Light Festivals Big Day in October. I would recommend his talk greatly to any budding or established landscape photographer. Again, I feel there is a huge level of responsibility on both print and online magazines to show wider & varying genres of work rather than the same old cliched locations with oversaturated skies and orton effects applied. I have seen, the editor of one on-line magazine, which will remain unnamed, approach people on his forum asking them to submit their images for the magazine. These are usually images which fit within his own taste. Just like the judge I described earlier, this is perfectly within his right as the owner & editor. However, I feel it lets the wider community down as a certain style is prioritized and highlighted as better than the others. This drives the masses down one particular route. It totally kills creativity and stops photographers thinking for themselves. I remember first thinking to myself, what do I have to do to get an image noticed by him? I have stopped even looking seriously at said magazine as I know each month before it is published, what style is likely to appear in it. Cameras are evolving very quickly – almost too quickly. It is a very exciting time to be involved in photography as these advances open more and more doors for us. I personally believe it is only a matter of time before the art of filtration die. Cameras will eventually be able to capture the entire dynamic range of light we can see with our eyes. ISO’s will be lowered to the point that we don’t need solid nd filters. The need for a polarizer may be the only filter that remains. Starting out 5 years ago, 16 megapixels was considered a good sized file. Newer technologies now offer 42-50+ mega pixels. I’m not complaining at all but there is a danger that the art of careful composition and consideration of what to include exclude will now happen at the post process stage rather than in the camera. Does this matter? I don’t really think so. I had a chat in the pub the other night about facebook and social media. The general gist was that several of us around the table are now afraid to share image locations on-line. A new image is usually followed by questions about the location. See my post on “Secret Locations” here….. This can be seen on-line every month. Photographer X gets a beautiful image at location Y. He or she proudly posts it on line declaring where it was taken. Facebook groups are then saturated with the same image & composition by many different photographers for several weeks to come. The original work losses serious impact through the resulting over saturation of the many and oftentimes poor copies that follow. Only yesterday I saw a beautiful new image of Kinbane castle by Chris Ibbotson. A totally new persepective of the area which I have not seen before. I have no doubt many will try to emulate such a beautiful image and this angle will now be shot regularly. This issue is not specific to Irish Landscape photography. On-line forums are filled with sections for people to share locations. There are books published specifically giving guides to locations, compositions, when to visit, where to stand etc. Some magazines have sections devoted to location guides. 500px and other sites have maps available so you can log where you took an image for others to follow. Is there anything wrong with any of the above? Maybe not, I comes down to personal perspective. I too have found locations to shoot from all the above means. I try hard to put my own stamp on these locations when I arrive. Sometimes it works, many times it doesn’t, but I do keep trying. Take the example below. The image was created at a very well-known location in Donegal. Everybody takes the same classic & cliched shot here. I’m not above taking it myself – after all, a good image is a good image. The light was rubbish, creativity was required. A simple swing of the tripod left me a view most people never see as they only look for the obvious possibility at this location. Most are happy walking away with the classic image. Is this the reason my beloved photography genre is so poorly viewed by others? Every so often, a special image jumps out at you purely by accident…. A dull, cold & overcast day had left me scratching my head at a very well known location. As I turned to pack my bag, I saw this composition – one I have not seen anyone else take from this location (correct me if I am wrong). It was a happy drive home…. Many photographers won’t put the time into finding their own locations – it’s easier to simply copy images at great locations. Hell, I’ve done it myself when I started out – I still do it to a degree. It was a great way of learning. Does this mean creativity is dead? I don’t think so and this is why – we all shoot for different reasons. An understanding of these reasons will give a wider view of the argument. Here are some of the comments heard in person and seen on-line regarding creativity…… I don’t necessarily agree or disagree but each must be taken within their own context. As stated above, I like to get something a little different when I can. I’m realistic enough to know I’m not going to change the world. There is a small trick I use to make sure I come home with a variety of images. I spent 30 minutes on the cliché, money shot. The rest of the time at a location is spent exploring different angles or area’s close by. It is a little worrying & sad when others can’t always appreciate the hard work and effort it takes to make a beautiful image. That being said, landscape photography is the poorer for it. Natures gifts could pass most people by whereas we get to experience the best part of the day that most people miss. This is the reason I practise landscapes. For me, it’s all about being outdoors and experiencing places I would usually never get to. We all shoot for different reasons& are at different stages in our photography. The most important thing is that we shoot to make ourselves happy. Some are happy recreating iconic images for the wall or to learn whilst others want to be more expressive and unique. There is no right or wrong. The whole issue of creativity & reproduction is not and never has been unique to landscape photography. There will always be a mainstream style in every genre. Fads, trends, leaders and followers have always & will always exist. Landscape photography is far from dead. It is robust and more accessible than ever before. More and more people are discovering the gift of the landscape every day. Life is too short – shoot for yourself, your own reasons & enjoy what you are doing. Nice article Graham and I agree with most of your own thoughts and sentiments. For me personally, I don’t really care whether Seascapes are “overdone” and that some people don’t like the “milky water” (long exposure) effects because they too are overdone. I like them and thats all that matters to me! I could say the same and position the same argument against nearly every other genre, for example: Composite Portraits are overdone and they all look the same, Sports shots look the same, Street images look the same, Nature shots look the same, Drone shots look the same. To me it is all about enjoying what you are doing. If shooting Seascapes with Milky Water brings you joy every time you take the camera out of the bag, then continue to do it. If shooting portraits, rutting deer, birds on a stick, or models posing for the camera brings you joy, then do that. Focus on your own photography and nobody elses :-). I agree with most of your points and I am really glad you ended on a positive note. I don’t feel landscape photography is dead by any means. I think every artform at every age had its challenges. I personally like those milky seascapes and landscapes, I admire the effort that goes into creating them. A great photograph is subjective and personally what matters is whether it moves me or not, whether I like it or not. Or if the person viewing it is moved in some way. After all a photo can be technically correct yet leave you cold. As photographers I think we sometimes are simply inundated by so much photography on social media… we need to step away from the endless, groups, sites, judging, viewing, critiquing, and social feeds and just listen to our own inner voice and allow that into the photograph we are creating. As a digital artist I constantly rejoice that I have learned to push my photography far beyond its supposed limits into a new realm of creativity… I love the freedom that technology and powerful tools have given me, and it has changed how I approach photography. I still aim for technically correct photographs on my shoots, and they are my base material, however my intention now is to create artwork from them (often by distressing them and messing them up) and so I know that I will always have something very unique and I no longer obsess over technicalities. As photographers, as artists, it’s always going to be a challenge for people understand what goes into creating that beautiful photograph or artwork (I can create a piece with hundreds of layers, it can take me days, involve many photos and be imbued with so much emotion… but transmitting that to someone is almost impossible unless they are watching you do it or you describe it). I think what matters, at least to me, is how I feel about the final composition and how it impacts my viewers. To me photography is and will always be an art form. So I agree with Graham above… it’s about doing what brings you joy and keeping that joy alive and maybe bringing a little joy into others lives when they are emotionally moved in some way by our work. Let others worry about whether or not they like it. It’s okay.